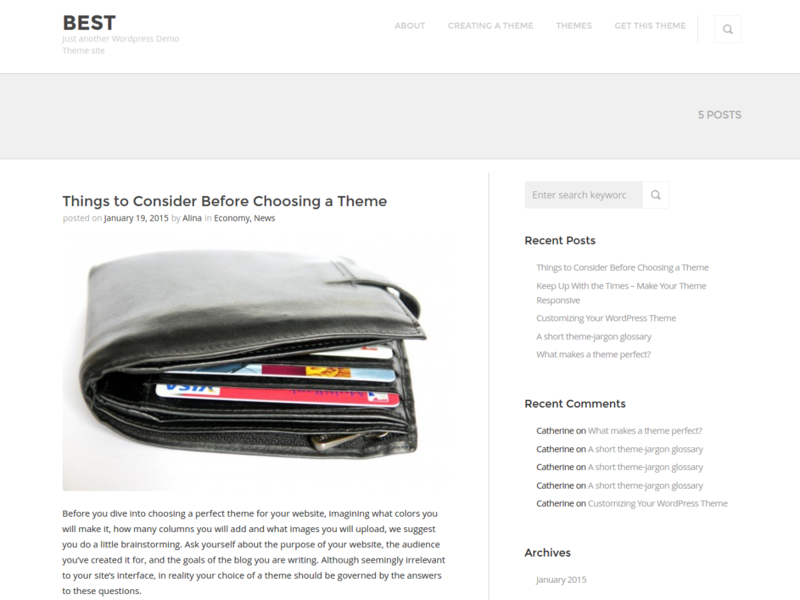 Best is a professional, fast, easy-to-use and multipurpose theme. It is beautifully styled, and has an awesome design. In spite of the number of great opportunities, Best theme may seem simple, yet its simplicity brings clarity, sense of balance, and looks really great. Best is a multipurpose theme, which will be useful for a variety of websites such as daily news, news magazines, network sites, etc. Everything else used in this theme has been created by BestWebSoft, specifically for Best theme, and is distributed under GPL license. 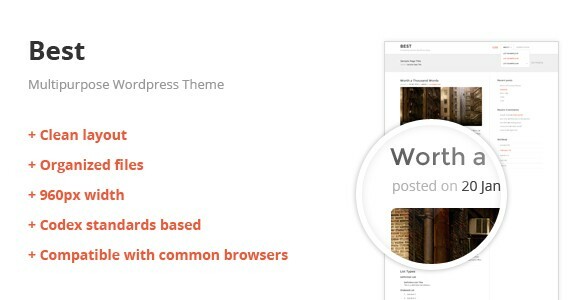 Best WordPress theme only supports these post formats. Please style them in a certain way. Other post formats will be displayed as regular posts. * Bugfix: Functionality has been improved. * Update: The following files were updated: style.css, header.php, footer.php, searchform.php, functions.php. * Bugfix: All instance of home_url() in php-files was escaped. * Update: Added editor_style.css file. * Bugfix: List of supports post formats was fixed. * Bugfix: List of supports HTML5-forms was fixed. * Update: Code formatting and indentation were fixed.